This post may contain affiliate links. If you purchase through one of these links I may earn a small commission at no extra cost to you. For more information, please read my disclaimer. Blogging seems like a simple task. Then you start to get more and more involved and realize that there are a lot of moving parts. You have social media to track, images to create, keywords to research, and timelines to keep if you want to get a post published before a major event or holiday so it is still relevant. 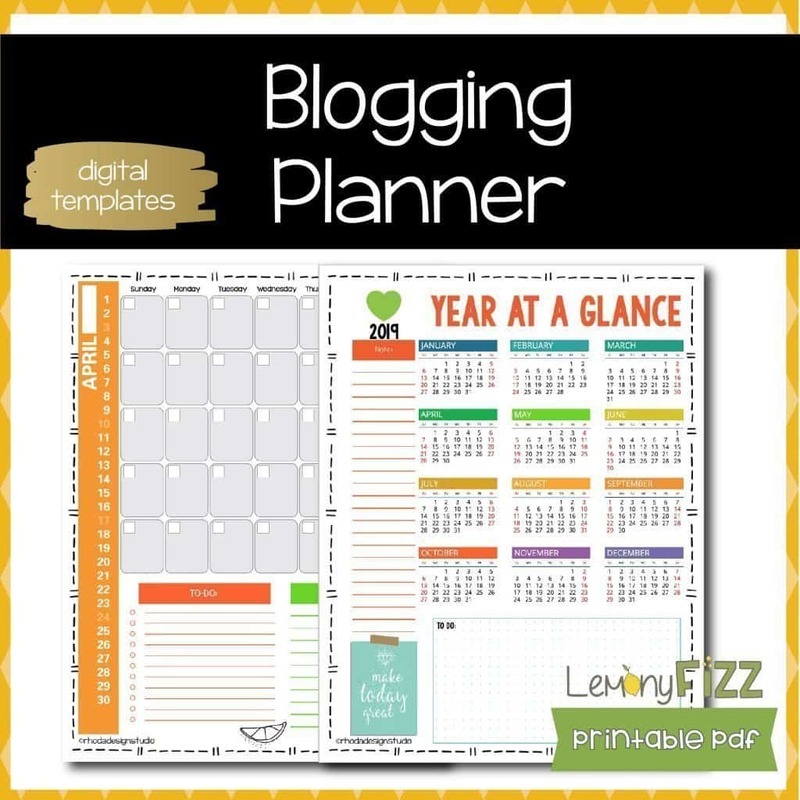 This planner will help you organize your daily blogging tasks, track your weekly to-do list, and plan long-term goals (up to 5 years). 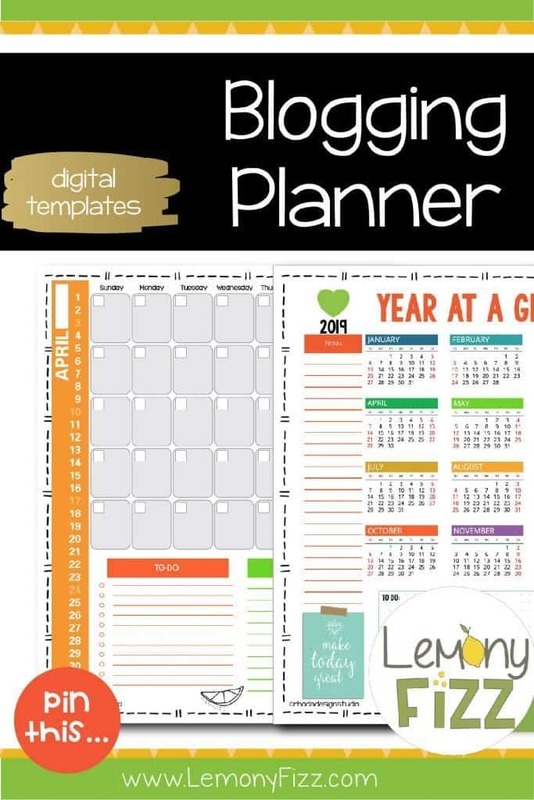 If you have started to monetize your blog (or plan to in the future) this daily planner will also help you track your income and expenses. Each page is bright, cheery, and will help you track your day to day life as well as your long-term goals. 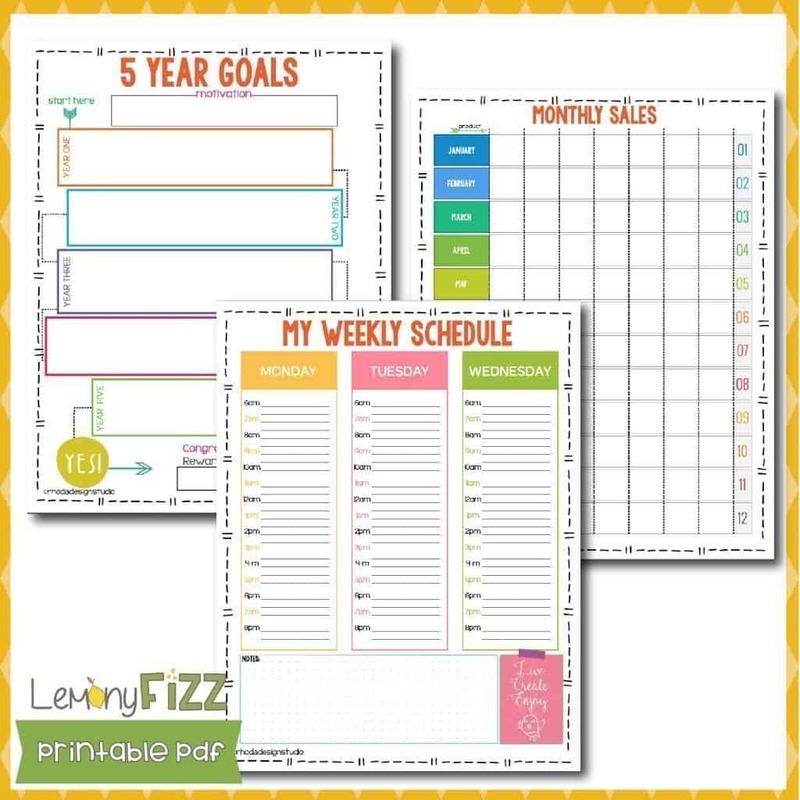 With over 50 pages that you can print multiple times, this planner covers it all. Welcome to my little online shop. You will find all sorts of fun printable crafts, ideas for creative journaling, bullet journaling, and paper creations.